Consolidated Air®, the fastest growing air conglomerate in the 21st century wishes to navigate their competitive advantage by utilizing new technologies such as AI, ML and blockchain while incorporating various data gathering permissions. Develop an offering that brings families together through a holistic airline service experience. Familiair caters to families with 1 or more adults with younger dependents aged 0-8 years. The service offers support throughout the travel experience - from booking a flight, to navigating through the airport, as well as in-flight comfort, with the help of a mobile app, an autonomous porter, and family pod seating. 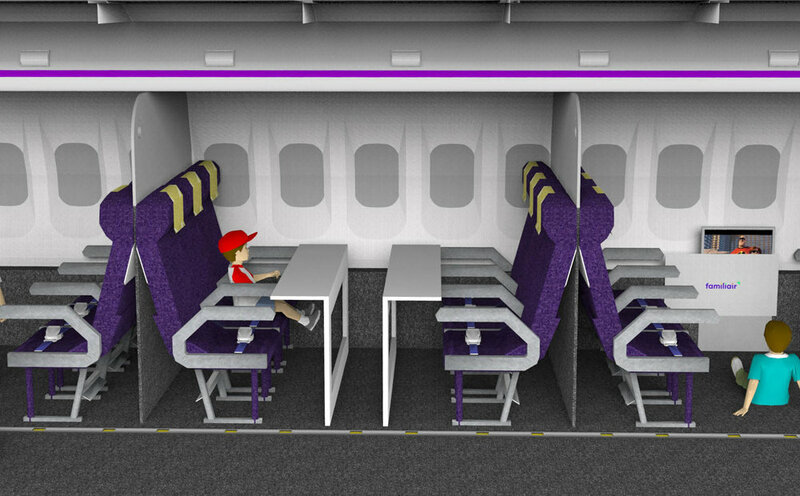 I was responsible for the chalk-drawing Animations in the video, Sticker Design, Airline Lavatory Design. I created Familiar’s Business Model and, the Machine Learning-based system logic for the Skycap Agent. I also contributed to the project’s overall research, synthesis, ideation, storyboarding as well as creative and strategic thinking. Additionally, I helped my peers with form exploration for the Skycap Agent, Script Writing for the video, and refined details of the key touch-points. Traveling as a family with young children can be a stressful and complicated experience. A parent has to balance their own needs with the needs of their children. Parents try to book uncrowded non-stop flights that sync with the children’s sleep schedules. However, most airlines are designed with only adult travelers in mind. Although some airlines have amenities specific for families with babies, these are isolated experiences that are more inconvenient than comfortable. Children need space to move around. When seated together, families want to be able to rest comfortably without feeling crowded. Every step of the journey at the airport requires families to wait in line. They would benefit from structured/clear navigation and support for their children’s needs. Parents are always concerned about their children’s safety. This prevents them from taking care of their personal needs while traveling. They would like for someone responsible to take over their childcare duties at intervals. We then conducted a competitive analysis of existing airline’s family-focused offerings, and enacted an airline experience as parents and children traveling together to generate ideas to cater to the main findings and generate empathy amongst ourselves towards the situation. Research Findings from Interviews and surveys. We had a lot to cover over 5 weeks, so once we were done with the research, synthesis and ideation, we finalized the main touch-points to design for the service experience and divided responsibilities. 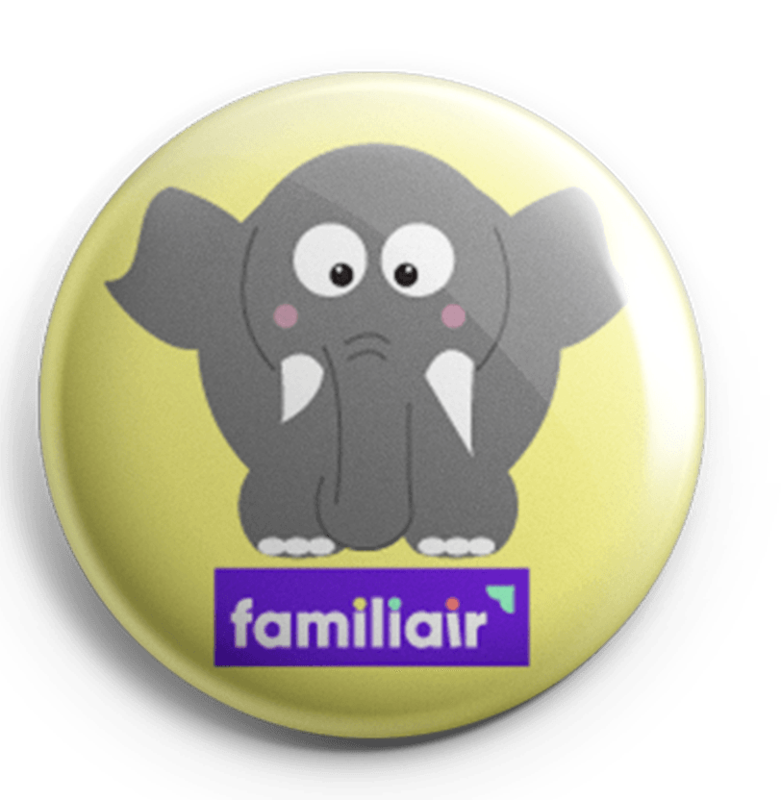 I developed the Business Model Canvas for ‘Familiair’ since I had experience using the Business Model Canvas. I also mapped out the logic flow for the autonomous Ai bot and co-developed the Ideal User Journey. 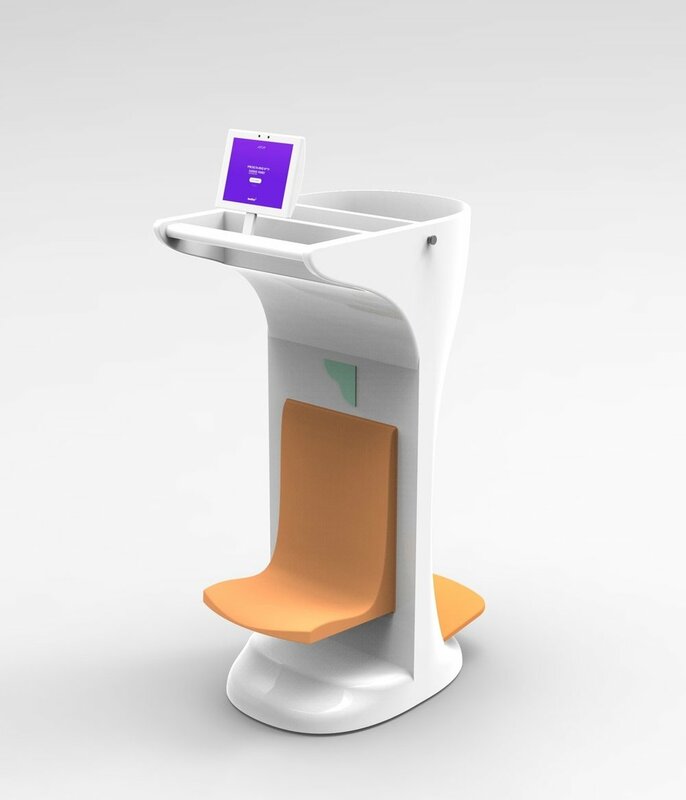 With experience in physical product and spatial design, I was also able to design the family-style airline lavatory, the visual design for the child-safety stickers, and helped with the form design for the Ai bot. My knowledge of animation tools and techniques came in handy to create chalk-drawing animations for the final airline demo-video. During this exciting project, we redesigned an entire airline service for a specific target audience (families with children). It was challenging to design a service to fit into the larger air travel system experience and identify the core touch-points to develop simultaneously. I enhanced my understanding of Artificial Intelligence and Machine Learning through this project, and integrated it into the user journey in a meaningful way. There were challenges of a restricted timeline, set expectations and key deliverables both for the airline as well as for the in-class presentations. It was an insightful learning experience, and our team did a thorough job in designing a holistic experience that catered to various aspects of this airline service.